If you're new to War Horse, this video from London explains a bit about the play and shows some scenes of the horse puppet in action. Everyone will soon be talking about the USA Broadway premiere of London's long-running hit stage play, War Horse. I've been writing about it on this blog and everywhere else that would allow me since it launched in 2007. Now we have a chance in the USA to experience the story of Joey the plow horse sent to France in World War I.
Joey's not a real horse, of course. He's a puppet, and one of the most clever puppets you'll ever see. But a few minutes into the play, you'll completely forget that he's made of cane and cloth and that there are two people inside him. I'm so excited to share this video with you. This TED lecture explains the origin of the puppets with the creators from South Africa's Handsprings Puppet Company. War Horse has played to sold-out audiences in London for the past few years, and it has brought attention to the fact that a million horses died in World War I. It's an anti-war story, of course; Joey belongs to a boy who is heart-broken when his horse is sold to the British Army. He sets off to rescue his horse who is meanwhile deep into the war. What the boy finds carries quite a moving message. In this video, you'll meet War Horse's equine choreographer, Toby Sedgwick, whose job it is to make sure that the puppet moves and "acts" like a real horse. This video also has great close-ups of the design of the feet and legs, and was also shot for the New York premiere. Joey's movements are so life-like that I know Hoof Blog readers will want to know more about how he was built and how he works. His creators gave a TED lecture recently, which was released today, so grab a cup of coffee and invest the next 20 minutes in learning about an outside-the-box application of your knowledge of equine biomechanics. When you go to see the play, you'll forget all about biomechanics and be absorbed into this horse's-eye-view of the world at war. You'll soon understand what all the buzz is about, and why so many creative people have given so much to make this play such an amazing experience for theater-goers. Make sure you're one of them. If you can't make it to Manhattan, War Horse is supposed to have shows in Toronto and Los Angeles in the future. And Stephen Spielberg's Dreamworks film of War Horse will be released by Disney on December 28, but with real horses. It was filmed in Dartmoor, England last spring. I'll see you on Broadway! War Horse opens at the Vivian Beaumont Theater at Lincoln Center on April 14, 2011. New research on the pharmacological management of the condition of insulin-resistance in horses and ponies has suggested that diet and exercise are still key in any management plan. Insulin resistance (IR) is defined as the diminished ability of a given concentration of insulin to exert its normal effect on glucose dynamics in particular. This causes the body to keep releasing more and more insulin in order to elicit an effect. This may be one of the most predictable factors that determines whether a horse or pony could be more susceptible to what is commonly known as the "endocrine" or "metabolic" form of laminitis. Insulin is a hormone involved in the regulation of glucose (sugar) levels in the blood and tissues of the body. In response to feeding, insulin is secreted by the pancreas into the blood stream. Insulin in the blood stream directs the glucose (sugar) absorbed from the food into the body’s tissues including liver, fat and muscle. Insulin resistance occurs when insulin no longer has a normal effect on the tissues. In the insulin resistant horse, the pancreas releases insulin into the blood stream, and the insulin arrives at the tissues and binds the cells, however the glucose enters the tissue cells at a much lower rate than normal. This lower rate of glucose uptake into tissues results in higher levels of blood glucose. Horses and ponies compensate for insulin resistance by secreting even more insulin into the bloodstream in order to keep the blood glucose concentration within the normal range. Therefore, horses and ponies with EMS (Equine Metabolic Syndrome) have a higher concentration of insulin within the blood, which can be measured to determine if insulin resistance is present. An important goal for owners and vets should be to prevent IR from developing, or to manage it before it contributes to the development/progression of other potentially life-threatening conditions. While the correct management of energy intake and exercise levels is thought to be essential, in some cases medication is also considered, especially when increased exercise is not possible. With no licensed drugs currently available for the treatment of IR in horses and ponies, off-label medications used for IR in humans are sometimes prescribed. A trial was conducted by the School of Animal and Veterinary Sciences at Charles Sturt University in New South Wales, Australia and the Department of Clinical Studies at the University of Pennsylvania's New Bolton Center, in collaboration with the Waltham Equine Studies Group in Great Britain. The study's intention was to confirm the positive effect of the human medication metformin on insulin and glucose dynamics in insulin-resistant ponies so that this treatment could be used as a positive control in other studies. Glenys Noble BAppSc(Equine Studies) PhD, along with PhD candidate Kellie Tinworth BSc(hons) MSc, carried out the clinical trial in Australia. Six insulin resistant, non-obese ponies were repeatedly monitored by means of a frequently-sampled intravenous glucose tolerance test (FSIGT). Metformin ia a drug reported to enhance insulin sensitivity of peripheral tissues in humans without stimulating insulin secretion. It was administered twice-daily (15mg/kg BW BID) to three of the ponies for 21 days. Meanwhile, the three remaining ponies formed a control group, and each received a placebo. After a wash-out period, the treatments were crossed over. A Frequently Sampled Intravenous Glucose Tolerance Test (FSIGT) was conducted to evaluate the level of insulin resistance before and after each treatment. The ponies' body weight, body condition score and cresty neck score were also assessed. They did not change during this study. Ray Boston MSc PhD is Professor of Applied Biomathematics in Clinical Studies at the University of Pennsylvania's New Bolton Center. He analyzed the data using MinMod, a computer program to calculate glucose effectiveness and insulin sensitivity from the frequently sampled intravenous glucose tolerance test, and Stata 10.1 statistics analysis software. No change in insulin sensitivity or glucose dynamics was seen under the control conditions or in response to the dose of metformin given in this study to these ponies. The Waltham® Equine Studies Group, headed up by Dr Pat Harris MA PhD, VetMB DipECVCN MRCVS, provides the scientific support for the Spillers® and Winergy® brands sold in Great Britain. To learn more: K. D. Tinworth, R. C. Boston, P. A. Harris, M. N. Sillence, S. L. Raidal, G. K. Noble (In press). The effect of oral metformin on insulin sensitivity in insulin-resistant ponies The Veterinary Journal; Available online 23 February 2011, doi:10.1016/j.tvjl.2011.01.015. 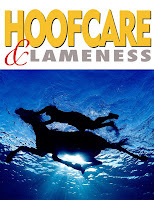 Thanks to Spillers for sharing this information with Hoofcare and Lameness. Midnite is a miniature horse at a rescue farm in North Texas; he has lived his whole life with a deformed hind foot that is missing its coffin bone, according to the Rescue. Have you heard about Midnite? His story is all over the Internet and television news shows today. This young miniature horse was a law-enforcement rescue case who hopped into Ranch Hand Rescue in South Argyle, Texas on three legs. 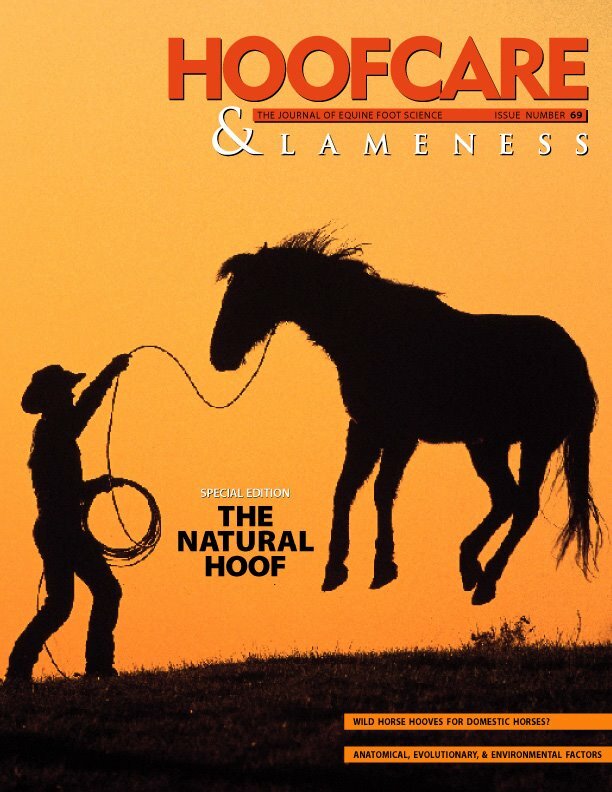 He couldn't put his left hind hoof down because...well, because it just wasn't there. Midnite may have come to a safe, new home, but even as he gained weight and his overall health improved, he wasn't cheering up and that was a challenge. Almost as much of a challenge as simple movements like laying down, or getting back up. Scampering around with the other animals in the paddock wasn't an option. He won over the hearts of everyone at the rescue farm, especially director Bob Williams, and Bob decided to see if they couldn't do something to help the little guy. The first attempt was using a donated Soft-Ride hoof boot (thanks, Soft-Ride! ), with its removable gel-pad orthotics. These rehabilitation boots are familiar to many Hoofcare and Lameness readers, and lucky come in a vast array of sizes--even tiny enough for a mini. They taped the boot on the stump of his pastern each day and removed it each night. The staff massaged him, and powdered his stub, and they learned a lot about three-legged horses, especially how they need to re-disribute their weight after a long time of not using one of their limbs. Here's a YouTube interview with Lane Farr, designer of the prosthetic clamshell boot. 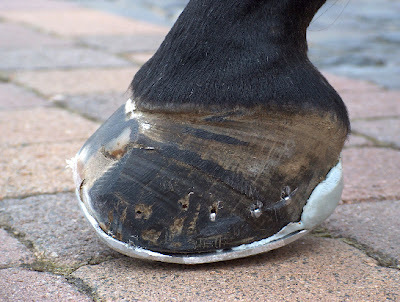 From seeing a bit of improvement with the Soft-Ride boot, the rescue team, led by Bob Williams, scratched their heads and wondered what a human orthotics designer might be able to design for a tiny artificial hoof replacement. Enter Lane Farr, a prosthetic designer with a lifelong connection to horses and a way with carbon graphite and fiberglas and gel foam. Lane designed a prosthetic support device that he told me both allows the little horse to bear some weight on what passes for a hoof, and also transfers some of the weight to a passive load share state rather than the direct load straight down the bony column through the pastern. Lane told me that there is no medical history on the little horse,but that the assumption is that the deformity is congenital--it was present at birth. The support/weight transfer boot has been through a couple of stages of re-design and Midnite is now able to run with it on, as you can see in the AP video. I thought you might like to see these other videos, which show the boot up close. I'd love to see the inside of the boot and the gel construction and will ask Lane and Bob if we might get pictures of that. They're both busy with reporters today, and I know how they can be. 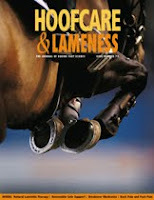 Hoofcare and Lameness apologizes for the ads on these and all videos. They are embedded by the hosts and they're just there, sorry. 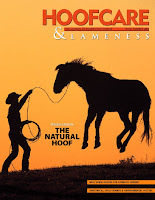 These television stations and media outlets are generous to allow Hoofcare and Lameness to embed the videos, or to post them on YouTube the way that Associated Press did. Many won't allow embedding at all, which is why many great stories can't be posted on the Hoof Blog. But for those who do work with us--the ads are ok, even though I will probably never need an orthodontist in Fort Worth! It seems like the least I can do for the privilege of sharing videos with you. This short video has some good close-up views of the boot. Finally, a big thanks, hats off and high-five to Bob Williams, the Board of Directors of Ranch Hands Rescue, Prostheticare, and Lane Farr for all their hard work on behalf of this little horse. I know some people say, "So what? Why bother?" but I would remind you that these are real people, without a lot of money to invest in a single case and who are pretty much self-taught, who took a risk and came up with a successful, low-impact way to help this horse. What none of these videos tell you is that Ranch Hand Rescue could use your donation to help Midnite and all their other rescued animals. Here's a direct clickable link to their PayPal donation page. Please help them out! It is true that with a $14,000 price tag, this clamshell design isn't going to sold every night on eBay, but this story has received more press than any story since Molly the Pony back in 2008, and I can tell you that that story had an amazing impact on the way that people think about going the extra mile and burning some extra brain cells before they give up on a horse. I'd also like to thank Bob and Lane for taking the time to return my pestering calls when they have way too much going on already. Like me, they think you all, the readers of this blog, might be the ones who can make a difference. Please prove them to be right. Click here to go to the order/info page; it's easy to get yours! Last year at Cheltenham, the celebrity riders, trainers and familiar faces got together and recorded a song about the race meet that they all love so much for a charity fundraiser. UPDATE: Watch the video of today's unbelievable Cheltenham Gold Cup on YouTube! In Gloucestershire, England they run a four-day National Hunt race meeting that is like no other in the world. It's like Saratoga on steroids: the best horses, the (hopefully) best weather, and a few hundred thousand of your very best friends all make sure that you have an unforgettable time. Today, Friday, is the last day and it all culminates in the Gold Cup. Old rivals--and stablemates--Demman and Kauto Star may be eleven now, but they're heading out again. Kauto Star has won it twice. Denman won it once and was second twice. Oh, and there are some other horses in the race, too, like Imperial Commander, who beat both of them last year. (Denman was second, Kauto Star fell.) That these three Gold Cup winners could be back to challenge each other again is the flip side of the chronic unsoundness we take for granted in racehorses. These jumping horses, at their age, must have tendons of steel. The Gold Cup is three miles, two furlongs...with hills. The sad thing is, this will probably be their last meeting. Safe run, you old boys! 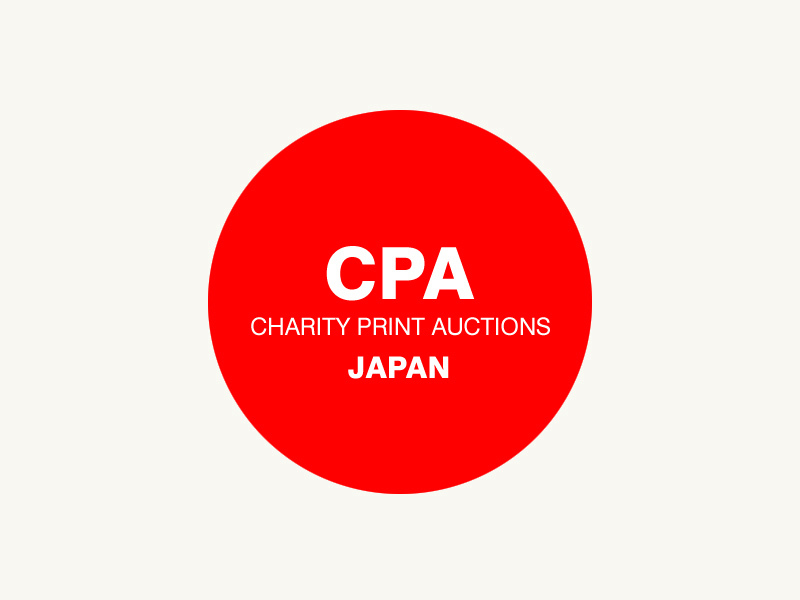 The auction has now ended. Thanks for your support of the people of Japan during this terrible tragedy. Today the Grayson Jockey Club Research Foundation announced its selection for the 2011 round of equine research projects that will be funded. Laminitis research figured prominently in the mix of subjects to be studied. In particular, two studies will receive support from the Lexington, Kentucky-based charitable organization. The first covers the dreadful form of laminitis that led to the death of 2006 Kentucky Derby winner Barbaro. This will be a multiple-year study; "first year" refers to the funding applied for 2011. Andrew van Eps received his PhD at the University of Queensland in Australia by studying laminitis; his previous contributions have included the first studies of the use of cryotherapy to prevent laminitis. This project is headed by a young researcher, but the co-investigators are world renowned Drs. Dean Richardson and Chris Pollitt. The researchers will test the hypothesis with a state of the art, minimally invasive technique known as tissue mycrodialysis in conjunction with three dimensional computed tomography to develop effective methods of preventing or minimizing lamellar tissue energy failure. This project seeks to develop a gene therapy approach to prevent laminitis in the contralateral hoof when a horse is being treated for a musculoskeletal injury. This, of course, was what eventually ended the efforts to save Barbaro and is a frequent threat to horses with hoof and leg injuries. The well known research team already has compelling preliminary data which encourages the hypothesis that use of recombinant adeno-associated viruses can be used as vectors to deliver a therapeutic gene (TMP-3) to the lamellar tissues. 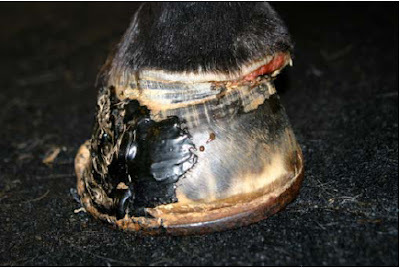 This is meant to inhibit the damage to the epidermal laminae without disrupting the normal hoof structure. Another completely new study will begin at The Ohio State University, where the mechanism of cryotherapy in averting laminitis will be studied and, hopefully, recreated via pharmacology. However, there have been persistent failure of systemic therapies for organ/laminar injury in both human and equine medicine. 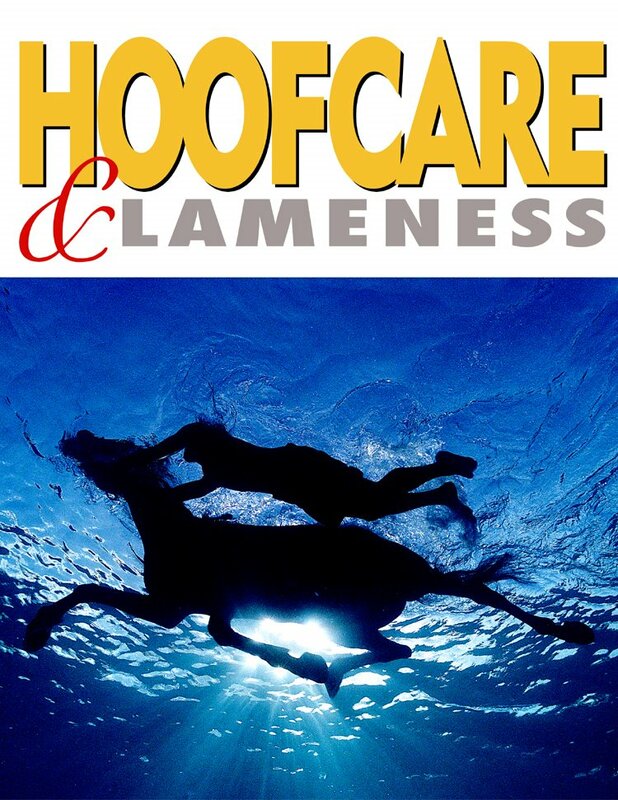 One advantage laminitis presents is that it effects the hoof rather than visceral organs, lending itself to artificial cooling more readily. In a present project funded by the Foundation, digital hypothermia (cooling of the hoof) prior to onset of carbohydrate overload-induced equine sepsis resulted in dramatic decrease in laminar inflammatory signaling. 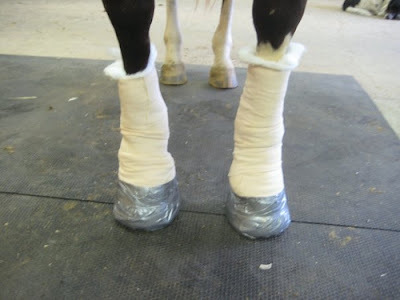 The next goal is to find pharmaceutical therapies which can accomplish the same without the cumbersome aspects of maintaining constant hypothermia to the equine hoof (hooves). 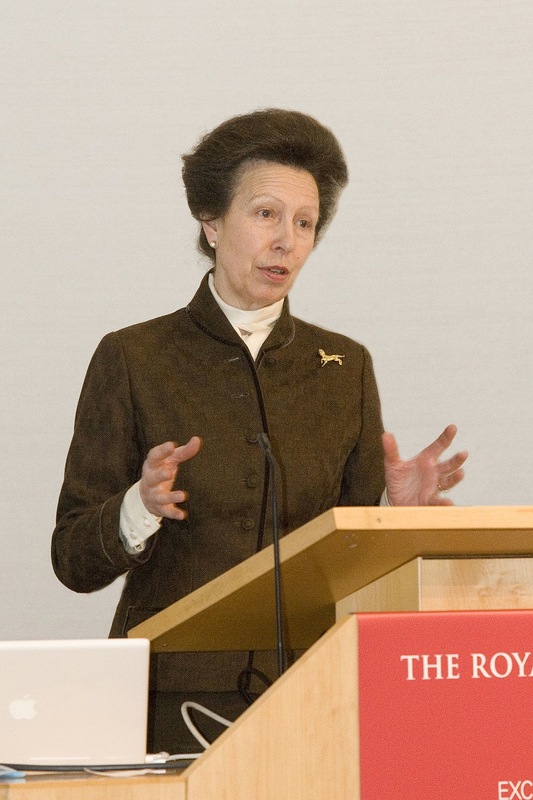 Great Britain's Princess Royal addressed the National Equine Forum, where new statistics on horse health were presented. The 19th National Equine Forum (NEF), held in Great Britain on March 8, 2011, was the launch pad for the results of the United Kingdom’s first public National Equine Health Survey. The event was attended by over 200 of the country’s most influential members of the equestrian industry, including NEF President HRH The Princess Royal, leading equine vets, international riders and trainers, equestrian society figureheads, business leaders and numerous members of the equestrian trade industry. Josh Slater, Professor of Equine Clinical Studies at the Royal Veterinary College and immediate past president of the British Equine Veterinary Association (BEVA), announced the results of the survey, which was pioneered by The Blue Cross animal charity and is supported by BEVA. The survey was conducted in November 2010. 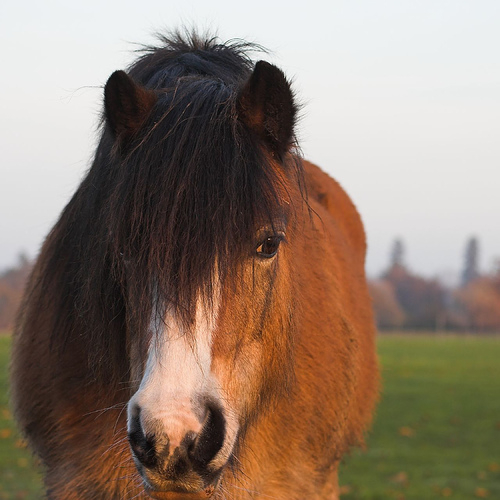 The survey, which was pioneered by The Blue Cross animal charity and is supported by The British Equine Veterinary Association (BEVA), was carried out last November following two years of pilot schemes. The intention was to find out more about endemic non-notifiable equine diseases that have never before been recorded, such as coughs, skin diseases and lameness. The results were announced at the Forum by Professor Josh Slater, Professor of Equine Clinical Studies at The Royal Veterinary College, who has been working with The Blue Cross on the survey. Analyzed data from the study will be used to pinpoint current, non-notifiable healthcare issues affecting horses, ponies, donkeys and mules in the UK and is expected to break new ground for all of Europe as well. 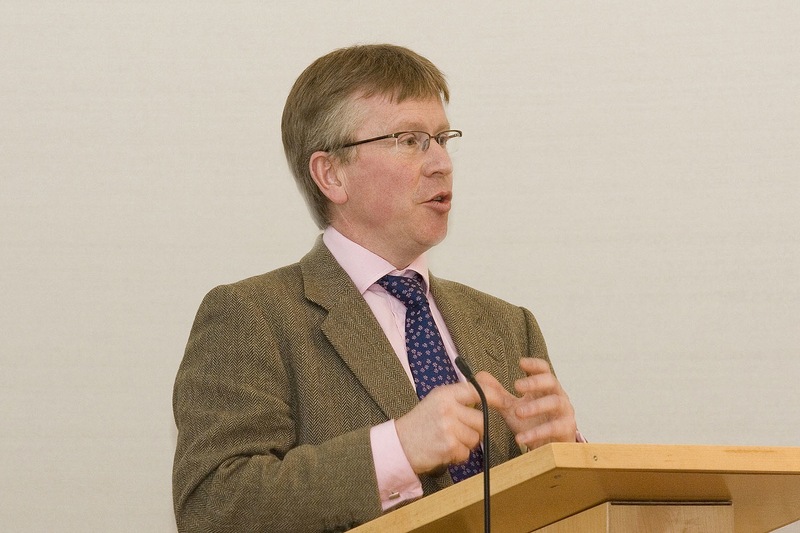 Professor Slater explained that the survey should provide a future benchmarking facility for equine disease, welfare, standards of care and codes of practice and it has also confirmed the workability of an important template to monitor the serious threat of infectious and exotic disease in the future. A total of 306 sets of records were submitted from 3120 horses in mainly private ownership, with a balance of representation from competition yards, riding schools, welfare charities and studs. A broad range of syndromes and diseases were assessed including colic, sarcoids, laminitis, wounds, dental issues, eye disease, lameness and weight issues. Equine lameness statistics also figure prominently in the survey and show some variation from oft-quoted statistics about soundness problems in horses. The results showed that lameness was the most common problem affecting horses (11% of horses surveyed) but that, unexpectedly, the foot was not the most common cause of lameness and that laminitis (3%) was less common than the 7-8% total that previous surveys had suggested. Weight management was the next most common issue for horse owners, with 9% of horses recorded as overweight and 8% as underweight. The new statistics are not far from those compiled in the study Equine laminitis in the new millennium: frequency, risk factors and assessing a potential new therapy by Claire E. Wylie et al, presented at the 2009 meeting of the Society for Veterinary Epidemiology and Preventive Medicine. 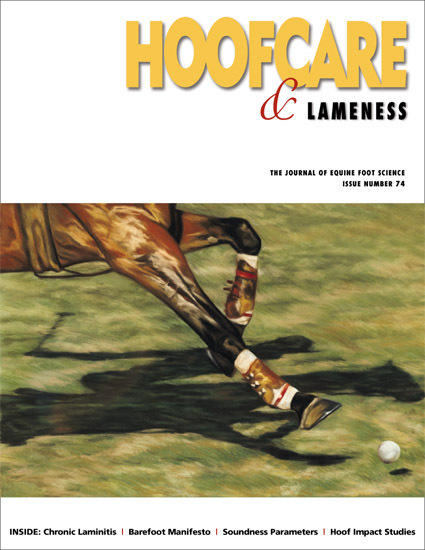 Wylie found that laminitis cases contributes to between 0.11‐28.57% of all equine visits analyzed by veterinarians who participated in her study, with a mean of 5.03% and a median of 3%. The most often quoted statistics from Britain are from Hinckley and Henderson's 1996 paper presented at the 35th Congress of the British Equine Veterinary Association. (See Hinckley, K.A. and Henderson, I.W. 1996. The epidemiology of equine laminitis in the UK in the 35th BEVA Annual Congress Proceedings) That paper stated: From a study involving 113,000 horses in the UK it was estimated that the total prevalence of acute laminitis in the UK was over 8,000 cases annually, giving a prevalence of 7.1%. Anyone who reads this blog knows enough to see little red flags popping up right away: there is a big difference in a study like Hinckley's that tracks cases of acute laminitis with a study of all cases of laminitis, like the National Equine Health Survey's, as reported by horse owners. None of these statistics really add up. I have often heard Katz's 13% quoted as the nationwide prevalence of laminitis in the UK, when he was actually studying a population of horses that might rightfully be expected to have some sort of laminitis, related to age or neglect circumstances that required their removal to a charity farm. Were those horses a suitable population to use as a sample of the entire national population of horses? Hinckley's statistics have always been shocking, considering that she was documenting strictly acute cases. Wylie's study, presented as a poster at the conference, does not specify how laminitis was defined. Having her statistic closely matched by the much larger population sampled by the National Equine Health Survey's is encouraging, if their parameters were similar. That said, a lot depends on when a survey is conducted. Some years have much higher numbers of cases because of weather conditions that encourage grass-related laminitis. The problem with this study's result is that it is tempting to say that education, medication and horse-owner awareness are kicking in and more horses are avoiding laminitis than in the past. But then we immediately see that 9% of the horse population is overweight, and can only wonder if that figure is up or down from previous periods. If that number is down as well, then all the hard work of vets, farriers, feed companies and charities is having an effect and horses in Great Britain are in a lot less pain now than they were 15 years ago. Maybe. 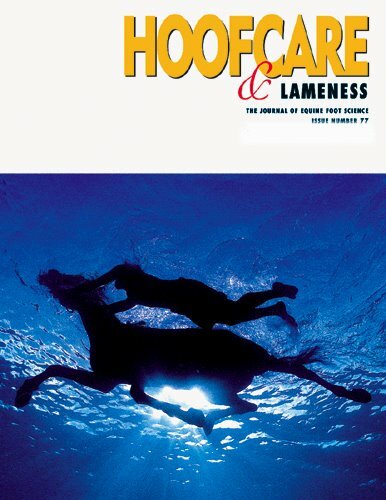 An interesting extrapolation from the study is that 18 percent of the horses had a problem with weight management (either under- or overweight) vs 11 percent who had suffered from lameness. It's possible that the actual weight problem is much higher, since the statistic allowed the owner to judge his or her own horses' weight suitability. 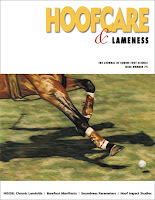 To clarify the location of lameness: it may sound like news that lameness in the foot was lower than expected, but it should be made clear that lameness location was divided into three groups: foot (3.7%), non-foot (4.5%), and laminitis (3%). If you consider laminitis a lameness of the foot, the combined total would be quite a bit higher than non-foot sources of lameness. However, for the purposes of the study, the statisticians were probably trying to keep their categories separate. Meanwhile, the British Horse Society reports that its 2011 Laminitis Conference, planned for the end of this month in conjunction with Dodson and Horrells, has been sold out and no more registrations can be accepted. It's so difficult to compare statistics from different studies or to say that one is the definitive measurement of the most pressing equine health issues. It sounds like the new National Equine Health Survey could be on its way to being the one-stop source for horse health statistics in Great Britain. While it's easy to wonder about the validity of horse owners' judgments about things like their horses' conditions, it's more productive to congratulate the Blue Cross and BEVA for undertaking such a massive effort, and for getting it done. And, most of all, for making the results available to the public. Thank you! About the Forum: The National Equine Forum is chaired by Professor Sir Colin Spedding and is convened by Miles Williamson-Noble. It is usually attended by HRH The Princess Royal, its President, and is supported by the Association of British Riding Schools, Bedmax, The Blue Cross, British Equestrian Federation, British Equestrian Trade Association, British Equestrian Veterinary Association, British Horse Society, British Horseracing Authority, Bulley Davey, Darby’s Solicitors, Dodson and Horrell, Donkey Sanctuary, Equine Products UK, Horse Trust, Jeffress Scholarship Trust, NFU Mutual Insurance, South Essex Insurance Brokers, Weatherbys and World Horse Welfare. Photos of The Princess Royal and Professor Slater courtesy of the National Equine Forum/Craig Payne Photography. 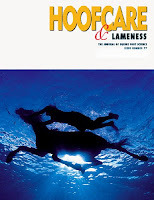 Click here to easy-order your copy of Hoofcare & Lameness Journal's award-winning poster. This video requires Silverlight, a Microsoft video interface. Before you click "play" on the video, please take a minute to read this text so you will know what you are watching. It's time for the politics of horsecare again. Or is it the politics of veterinary care? We're back in Little Rock, Arkansas, and here are the gentlemen of the House Agriculture, Forestry & Natural Resources Permanent Subcommittee of Agriculture. They need to review all bills under their jurisdiction before they are presented to the legislature. We met them before, in late January, when they heard testimony on House Bill 1099 (video of that hearing is also posted). H.B. 1099 would have exempted a long list of animal care professionals from the all-encompassing but loosely defined description of veterinary medicine in the Arkansas Veterinary Practice Act. That bill was not voted forward by the committee. 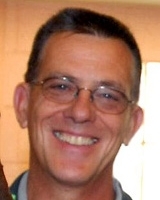 So Representative Gary Smith came back again on March 9, with House Bill 1712. This bill was much more specific and only dealt with horsecare. In particular, 1712 would have exempted massage therapy, tooth floating, and farriery and hoofcare, although it would have created a state certification program for equine dental technicians. The video you'll see in this video begins as the hearing for House Bill 1712. 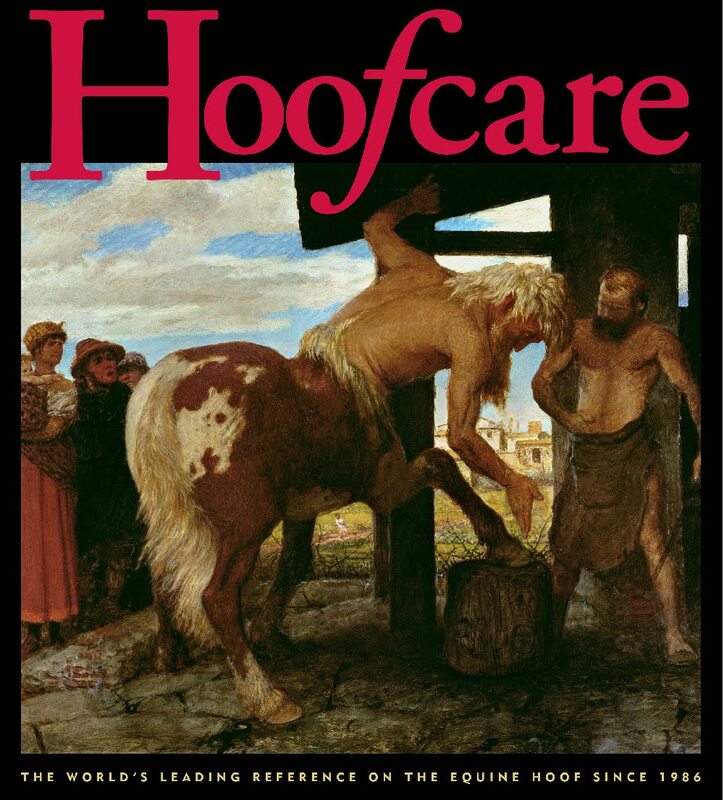 It, however, morphed into a presentation of a second bill; likewise, farriery and hoofcare morphed into "the lawful practice of horseshoeing". 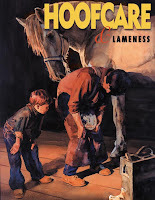 There is considerable discussion of what the lawful (or unlawful) practice of horseshoeing might be. This is a very long discussion, but probably worth your time to have a listen. The second bill, known as House Bill 1763, was received more favorably and seems to be a compromise favored by the state veterinary board. Please note, however, that HB1763 is marked by the state government as "re-referred to committee" on the official state web site rather than approved. Reports in the press indicate that the bill was approved. This is a discrepancy. For those who don't want to go through the video, the second bill went through an amendment process, in part to clarify the description of horseshoeing. The bill was amended to read: Arkansas Code § 17-101-307(b), concerning the practices that are excluded from the practice of veterinary medicine, is amended to read as follows: (b) This chapter shall not be construed to prohibit: (8) Any person: (A) Engaging in the art or profession of horseshoeing. The meeting to amend HB 1763 was not videotaped, or the video is not available to the public. If HB 1763 passes the legislature, it does not exempt massage therapy and tooth floating indefinitely; it only gives them a two-year moratorium from cease-and-desist orders from the veterinary board. After two years, some other bill should be waiting in the wings to take over, or these horse professionals may not be able to work in Arkansas. Hopefully other states can learn from what is going on in these midwest states (Oklahoma and Texas are two other states with recent legislation) as they struggle with the interpretation of what veterinary medicine is, and isn't. According to the existing law in many states, veterinary medicine pretty much encompasses all care of animals. The time to have exempted professions was back when the draft veterinary practice act was introduced, but no one's ears were up then, or else no one ever thought that cease-and-desist letters would be sent out. It seems pretty obvious that efforts to combine large and small animals or even cattle and horses, or to combine different professions makes it difficult for legislators and for people from agencies and businesses who would testify. It may be that it's every profession for itself. Arkansas has proven that quite clearly. Another thing that seems obvious is that the legislators are looking for highly credible testimonies on these subjects. There's no question that they don't know much about the flow of services, or what happens when a horseowner needs some work done on a horse. Before this legislation came up, they probably never gave it a thought beyond the fact that they knew that veterinarians make barn calls. They're getting an education and they're learning that the horse industry in their state employs a lot of people on a lot of levels. And it takes a support crew of professionals of many descriptions to keep a stable of horses adequately prepared for showing, racing or even just recreational riding. No one who is elected by public votes wants to put people out of work, yet the state government is in the business of enforcing the laws and legislation it has on its books. These legislators have to stand behind their government's previous actions. Change may be necessary, but it may also be incremental...and painstakingly slow. If I lived in Arkansas and was working in any of these professions, I think I would slow the process down even further and ask for more amendment to HB 1763 by defining each of the professions the way that tooth floating is defined. 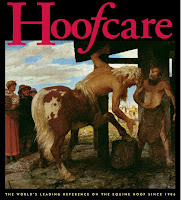 If someone has a natural hoofcare practice and does not engage in horseshoeing per se, is he or she not exempt? Must a shoe be on the horse for this law to stick? Now's the time to find that out, not when a cease-and-desist letter arrives in the mail. And to get it printed in the bill, not in a verbal assurance. Maybe you're one of the people affected by legislative rumblings in Arkansas or other states. Maybe you're hoping this will just go away. Be careful what your wish is: it will be back, if people care about preserving your profession. If no one cares, your profession may be lost in a legislative or legal shuffle one day, and your livelihood along with it. Recent laminitis prevention research soon to be presented at a biannual nutrition meeting in the United States suggests that ponies given reduced access to pasture are capable of ingesting considerable amounts of herbage during the time they are turned out and may indeed increase their intake during this time as they become accustomed to the routine. Intake of large amounts of fructan and other rapidly fermentable carbohydrates by grazing ponies has been linked to the development of laminitis. As a result, it has become common practice for horse owners to follow advice from researchers, farriers, veterinarians and nutrition experts to restrict their ponies’ access to pasture, especially at key times of the day/year in order to reduce the risk. The study, which was conducted at the Institute of Biological, Environmental and Rural Sciences (IBERS) at Aberystwyth University in Wales, in collaboration with the WALTHAM Equine Studies Group, aimed to investigate the effect of grazing restriction on herbage intake and grazing behavior in ponies. The grazing behaviour of eight ponies was measured daily over a six-week period to assess their voluntary intake of herbage and to monitor the effects of restricting their access to pasture. Two groups of four pony mares were used. Group A had 24-hour access to pasture while the ponies in group B had three hours of pasture access per day and were stabled for the remaining 21 hours, with ad libitum access to haylage and water. Herbage intake was estimated during the three hours when all the ponies were at pasture by monitoring the change in weight of each individual over the period. Grazing behaviour was analysed from video footage of the two groups using interval sampling. The ponies in group B had higher estimated grazed herbage intakes than those in group A during the three hours studied and this difference was significant during the final week, when they consumed 40% of their total daily dry matter intake as grass in the three hours at pasture. This compared with an intake of grass of around 25% of their daily dry matter ingested during the first week. Spring is in the air and a hoof blog editor's fancy turns to...kinetic sculpture. But you'll soon understand why. To anyone who says we can't improve on the way that horses are trimmed or shod, or the way that lame and sick horses' legs are treated or cared for, I'd have to say we're just not trying hard enough. And the answer is not likely to come from tinkering with the designs and devices we already have in our hands. 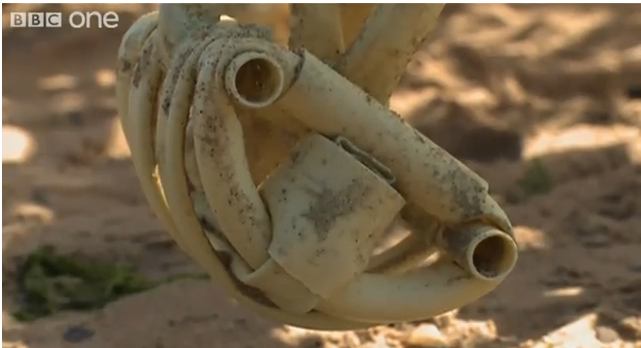 Kinetic sculptor Theo Jansen builds 'strandbeests' out of PVC pipe and turns them out on the wild ranges of the sand on Dutch beaches. The goal is for his perpetual motion creations to become permanent, independent citizens of the sands. Jansen's kite-like sculptures will trot along the beach on PVC legs and coffin joints. That's right. He wants to turn them loose. It sounds like he's been watching some fantasy beer commercial where the wild horses run free forever. You can't help but notice that his sculptures' legs and feet mimic the design of horse' limbs, right down to the single digit and breakover action of forward motion via a rotating distal joint. Maybe Jansen's been reading the Hoof Blog and saw this extreme rocker rehab on a foundered foot from Loic Entwistle's photo files in Germany. I'm sorry I don't have more information about this photo. I don't even know if this is Loic's work. But the image has always intrigued me. It's a thought-provoker. Think backwards for a minute. What if you could be Jensen and design a new hoof for the horse, one that would be easier to work on, to keep sound, to serve the horse on multiple surfaces, in multiple environments, under a rider's weights, in different sports? What would your design parameters be for the lower limb and hoof? Where would you start--at the bottom? in the middle? Would you specify a model with replaceable (transplantable or implantable) parts? There's no doubt that Nature designed an amazing structure that functions organically with perfection when everything's right. Humans just seem to muck it up, in one way or another. Bioengineering is on its way to being able to identify weak tissue structures; perhaps digital cushion implants will be possible soon, or coronary band grafting will allow rehab to be completed in six weeks instead of six months. I suspect most of us would be happy to tinker with the parts to improve them, but we like the design just the way nature has given it to the horse, and to us to work on, to ponder, to study, to capitalize upon, or to admire. Maybe we should invite Theo Jansen to watch our horses run on the racetrack. What we'd end up with in return might be a little different than what you''d see him sketch on a drawing board. Imagine a silky, kite-like kinetic sculpture floating around the infield of a dark racetrack at night, under its own perptual power, making eerie music like a chorus of call-to-the-post buglers playing a duet with every foghorn on the coast of Maine.